IT will be business as usual for Hekari United in the Telikom National Soccer League when they take on host City Pharmacy Eastern Stars at Bisini soccer ground tomorrow. Both teams will be without the services of their U23 players as they are preparing for the Olympic qualifying tournament in New Zealand next week. Stars will be without Lap Embel Pascal Wojem, Eliude Fugre while Hekari will be without Nigel Dabinyaba, Wira Wama and Joe Daniel. However, both coaches have enough talent in their squads to pick up the slack. 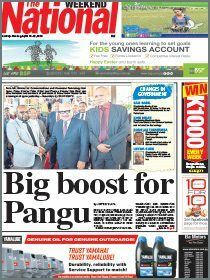 Stars, sensing an opportunity to heap further misery on the reigning champions will be relying on wily captain Cyril Muta, David Taro, Timothy Joe and Michael Foster to catch out the emotionally deflated PNG football giant. Hekari coach Jerry Allen on the other hand has on paper more than enough quality troops to handle Stars and he will no doubt be demanding a clinical performance from his charges. 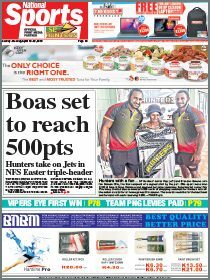 Experienced campaigners Taniela Waqa, Pita Bolaitoga, Andrew Lepani, Koriak Upaiga, David Muta, Samuel Kini, Maciu Dumadamu and attacking linchpin Kema Jack will see this as a chance to reassert their class on the men from the east who have been at their heals all season.